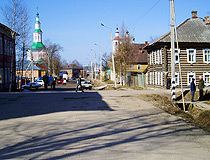 The capital city of Vologda oblast: Vologda. 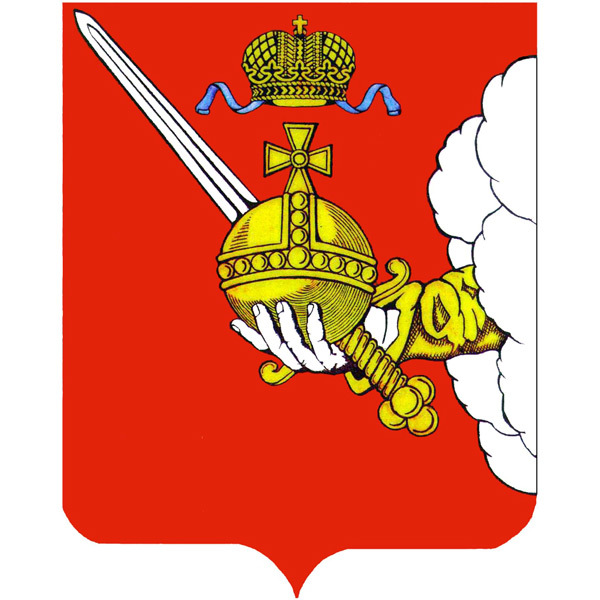 Vologda oblast (Vologodskaya) is a federal subject of Russia, part of the North-Western Federal District. Vologda is the capital city of the region. 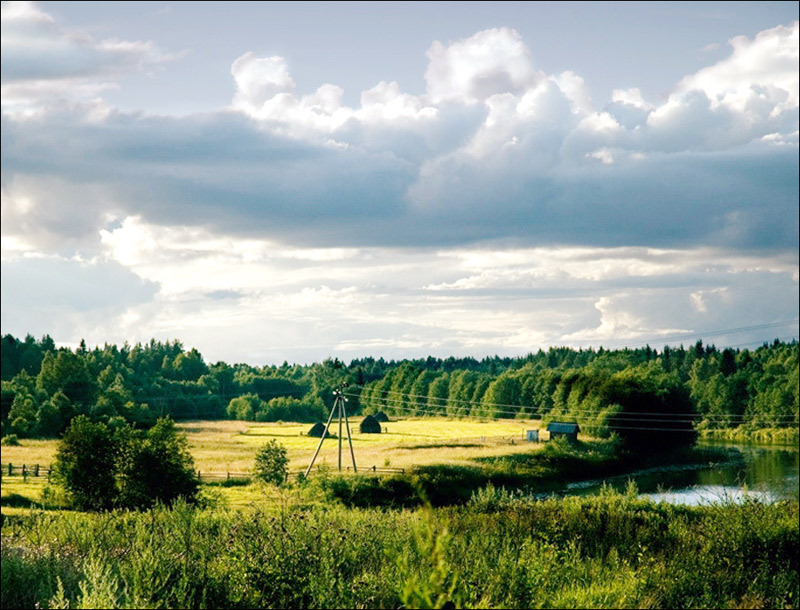 The population of Vologda oblast is about 1,183,000 (2015), the area - 144,527 sq. km. 29 August, 2018 / Vologda - the Pearl of the Russian North. 18 April, 2018 / Veliky Ustyug - one of the oldest towns in the Russian North. 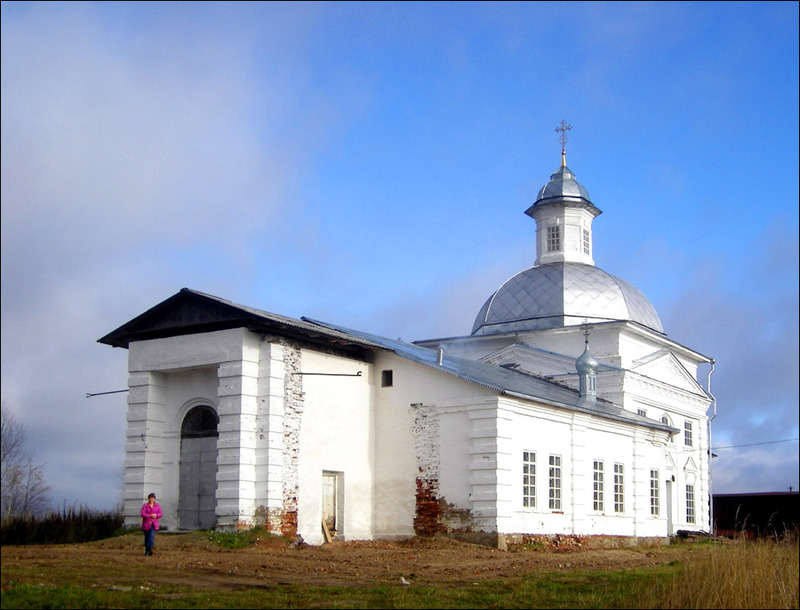 7 October, 2017 / Church of the Assumption of Our Lady in Nelazskoye. 10 February, 2017 / Russian Empire in color - Vytegra and surroundings. 14 November, 2016 / Museum of Lace in Vologda. 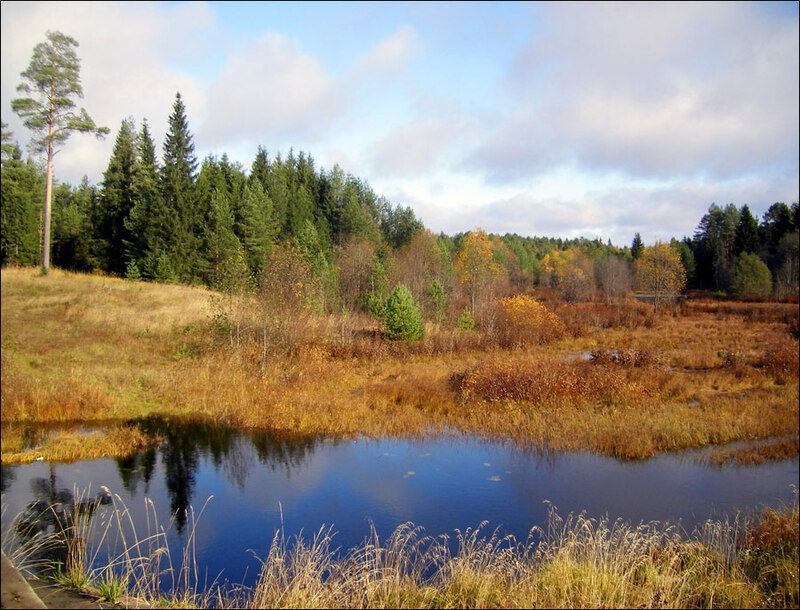 In the 5th-7th centuries AD, the development of this territory by the Slavic population began, which entailed the assimilation of the local Finno-Ugric tribes. The first Slavic colonists of the Vologda region were the Krivichi. In 862, the town of Beloozero was founded. This area became the arena of rivalry between the Novgorodians, who founded the towns of Veliky Ustyug, Vologda, Totma, and the Vladimir princes, who gradually subdued the region. In 1207, this region was included in the Rostov principality, from which, in 1238, the Belozersk principality was separated. In the era of civil strife, the region was again the arena of rivalry between the Novgorod Republic, Tver and Moscow principalities. In 1273, the Tver prince Svyatoslav Yaroslavich plundered and burned Vologda. In 1352, the plague killed most of the population of Beloozero and the town itself was moved to the southern shore of Beloye Lake. 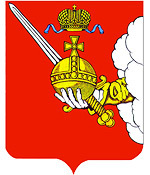 In 1389, after the Battle of Kulikovo, the Belozersk principality became part of the Moscow principality. 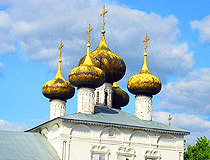 In the 14th century, the Kirillo-Belozersky Monastery was established. In the 15th century, the Belozersky Kremlin was built. The Vologda region (mainly Velikiy Ustyug) became a foothold for Moscow expansion to the north-east and east, to the territory of Ugra (1465), Perm Territory (1472) and Vyatka (1489). Since 1567, for three and a half years, Ivan IV often lived in Vologda, watching the construction of the fortress and the stone cathedral. The Vologda lands were of great importance in the policy of Ivan IV. A number of northern towns were included in the oprichnina. A significant place in the plans of Ivan the Terrible was occupied by Vologda, which was a kind of “gateway” to the White Sea, the Trans-Urals, Western Siberia, and Europe. In 1612, during the Time of Troubles, Vologda was again plundered, a lot of churches and other buildings were burned. In the 16th-17th centuries, Vologda occupied a special place in the establishment of trade relations with foreign countries. Being a convenient transit point, it attracted the attention of Dutch, English merchants. At the turn of the 17th-18th centuries, Peter the Great paid special attention to the lands of the Russian North. He repeatedly stayed in Vologda, in the house of the Dutch merchant Gutman. In the 19th century, this stone building became the house museum of Peter I. Today, the exposition of the museum includes his clothes (caftan, pants-culottes) and posthumous mask, A. Menshikov’s cup, numerous items that characterize the era of Peter the Great. The construction of St. Petersburg and the development of trade on the Baltic Sea significantly reduced the importance of Vologda, leaving the town away from new trade routes. 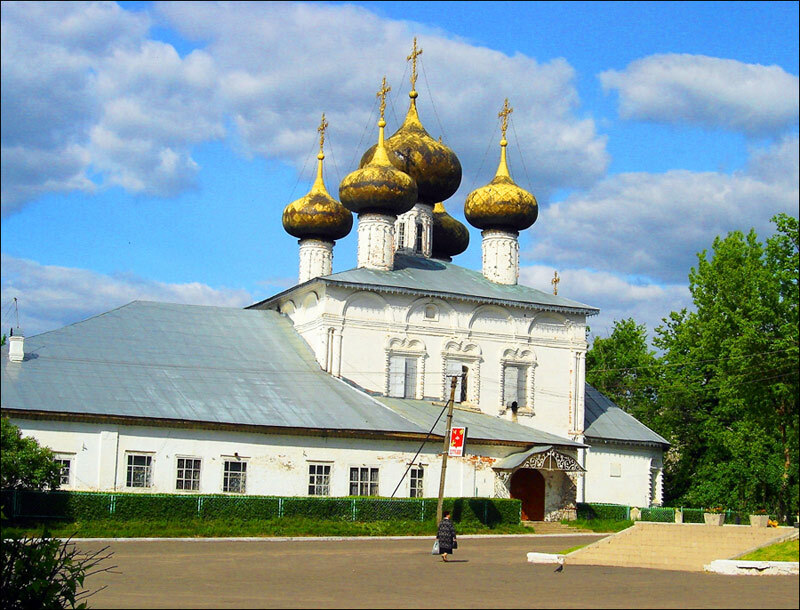 In the 18th century, the Vologda gubernia (province) was created. 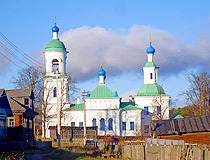 Most of the towns of the present Vologda region was formed during the Catherine’s administrative reform: Vytegra in 1773, Kirillov in 1776, Cherepovets in 1777, Gryazovets, Kadnikov and Nikolsk in 1780. The absence of large-scale construction of modern buildings and large enterprises has allowed them to preserve the historical appearance and spirit of the past epochs. Today, in many towns of the region, whole blocks of wooden houses decorated with carvings have survived. Some small towns are recognized as historical monuments of national importance. Since the beginning of the 19th century, the development of lacework began. Vologda lace enjoyed great popularity, its fame quickly crossed the borders of Russia. The products of the Vologda lace-makers were highly appreciated at the Paris, Brussels and other international exhibitions. With the opening of the shipping channels, which linked important economic centers of the country, trade moved from Vologda to Rybinsk. The significance of Vologda as a commercial center decreased. The turning point to the new economic recovery happened in the 1860s. The construction of railways, the emergence of the steam fleet had a significant impact on the development of the Vologda region. In 1872, a railway communication between Vologda and Yaroslavl was opened, in 1898 - with Arkhangelsk, in 1905 - with St. Petersburg and Vyatka. The city, lying on the banks of the navigable river, was also in the center of the intersection of important railroads. 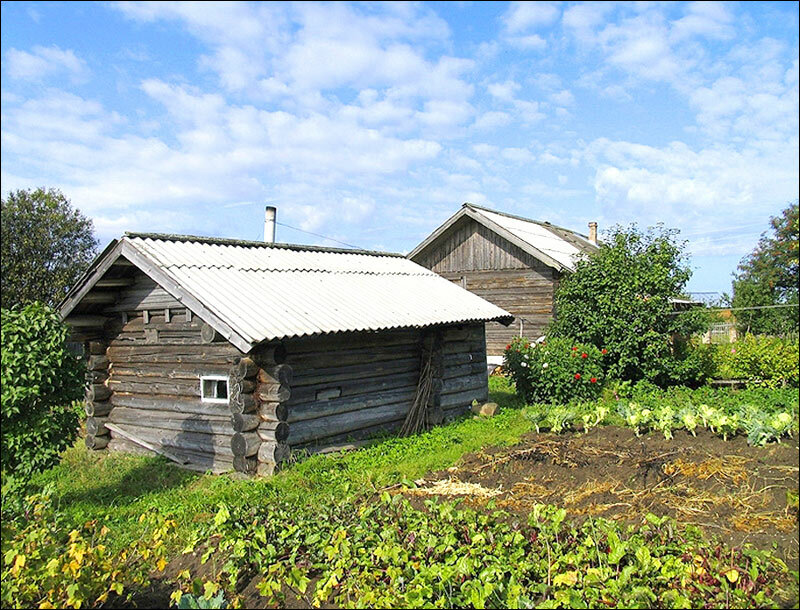 In 1881, the first dairy factory in the Russian Empire was opened in the region. Quite quickly, the brand “Vologda butter” gained great popularity. In 1918, for 5 months, Vologda became the “diplomatic capital of Russia,” a place where embassies and missions of the 11 largest countries of the world were located. 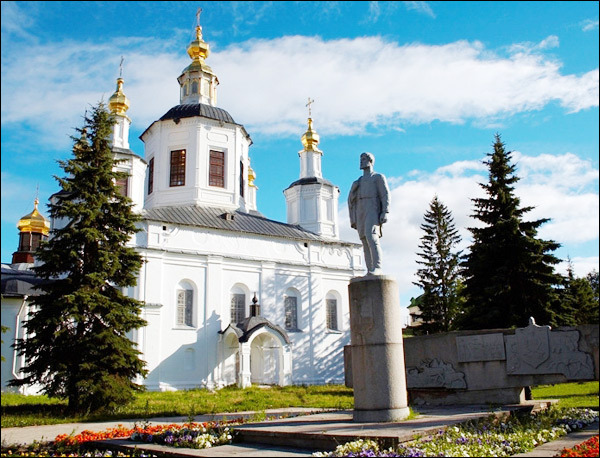 September 23, 1937, Vologda oblast was formed in its present borders. During the Second World War, military operations were not conducted in the territory of the Vologda region. That’s why the local monuments of the cultural and historical heritage were not damaged or destroyed. In 1955, Cherepovets became a major center for the production of cast iron on the basis of rich deposits of iron ores of the Kola Peninsula. Also the largest chemical enterprise in the country producing fertilizers was opened in Cherepovets. This powerful industry, built in Cherepovets after the war, helped the Vologda region, even in times of crisis, to remain one of the most prosperous territories in Russia. Today, every fifth ton of Russian rolled metal is produced in Cherepovets. JSC “PhosAgro-Cherepovets” is the largest producer of phosphorus-containing fertilizers, phosphoric and sulfuric acids in Europe. 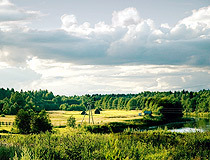 Vologda oblast is located in the northeast of the East European Plain. 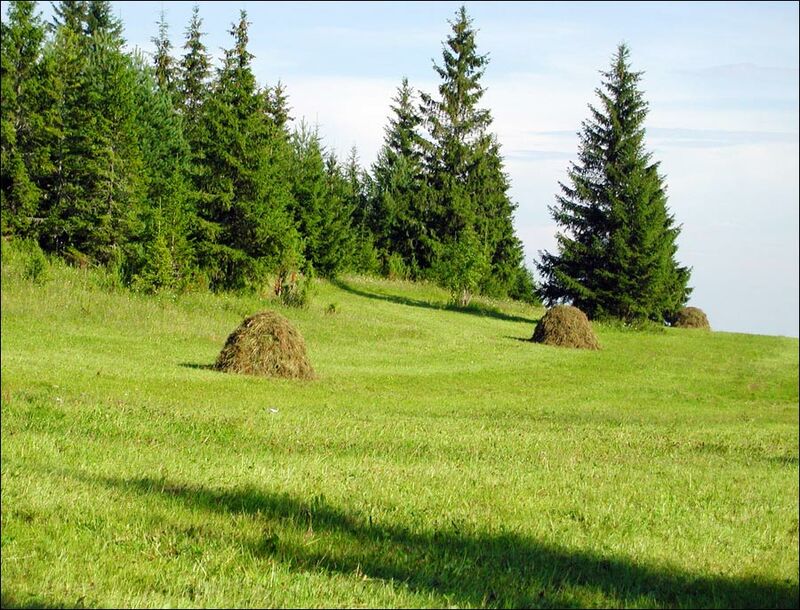 The climate is moderately continental with long, moderately cold winters and relatively short warm summers. The average temperature in January is about minus 12 degrees Celsius, in July - plus 17 degrees Celsius. 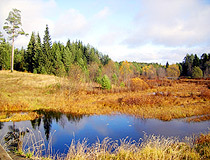 The region is rich in water resources. There are about 4,000 lakes. In the south-west there are the Sheksna and the Rybinsk reservoirs, in the west - the lakes of Beloye, Kubenskoye and Vozhe. Onega Lake in the north of the region is connected with the Volga by the Volga-Baltic waterway. The main natural resources are timber and fresh water. Also there are deposits of peat, salt and mineral water. About 12% of the territory is covered with swamps. The largest cities and towns of the region are Cherepovets (318,000), Vologda (311,000), Sokol (37,000), Veliky Ustyug (31,600). This region is an important transport hub of Russia connecting the European part of the country with the Urals and Siberia. The federal highway M8 “Kholmogory” (Moscow-Yaroslavl-Vologda-Arkhangelsk) passes through the territory of Vologda oblast. 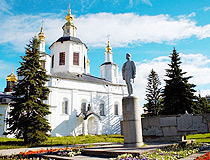 The rich history of the Vologda region, as well as the high degree of preservation of historical monuments and even historical towns contribute to the development of tourism. The main branch of local industry is ferrous metallurgy. The commodity structure is determined primarily by the production of industrial giants - enterprises of ferrous metallurgy, chemistry, mechanical engineering, woodworking: Severstal, Cherepovets Steel Rolling Plant, Cherepovets Metalwork Plant, PhosAgro-Cherepovets, Vologda Bearing Plant, Sokol Woodworking Plant. The leading branch of agriculture is dairy farming. The region exports significant amounts of grocery goods: milk, poultry, meat, the famous Vologda butter of the Vologda Dairy Plant. Some traditional artistic crafts have survived to this day: the Vologda lace, the largest center of lacework in Russia - Snezhinka enterprise; unique crafts of Veliky Ustyug - Shamogodskaya carved birch bark and silvering. 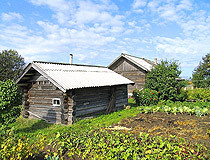 Vologda oblast has a rich cultural and historical heritage. On the territory of the region there are more than 700 historical and cultural monuments. 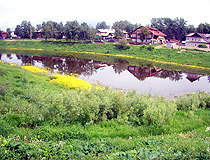 Most of the tourists visit Vologda, Kirillov district and Cherepovets. Vologda is one of the main centers of wooden architecture of Russia, distinguished by its style diversity - from classicism to modernity. 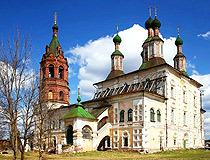 The Ferapontov Monastery with frescoes of Dionysius is included in the UNESCO World Heritage List. 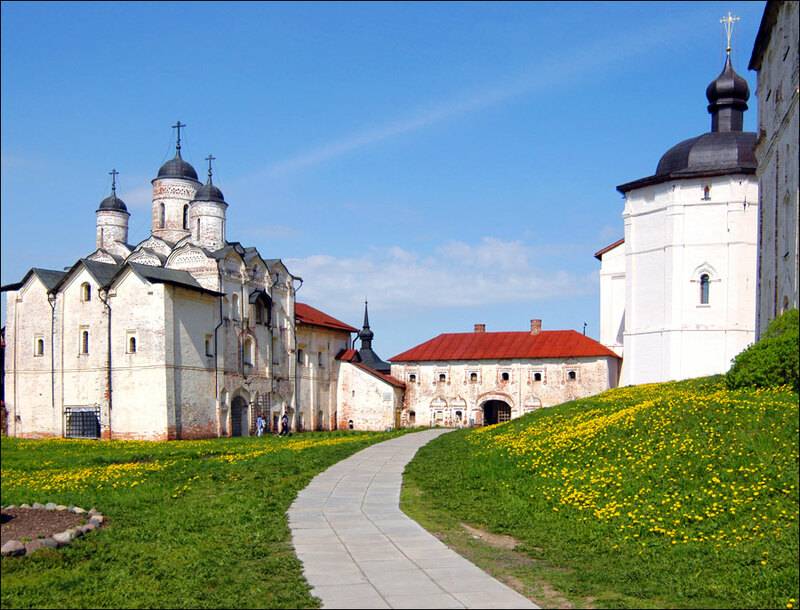 The ensemble of the Kirillo-Belozersky monastery is on the State list of especially valuable objects of the cultural heritage of the peoples of the Russian Federation and is one of the most visited places by tourists. There are interesting urban ensembles in Vologda, Belozersk, Kirillov, Ferapontovo, Totma (which has its own school of church architecture), and Ustyuzhna. Cherepovets is the birthplace of the artist V.V. Vereshchagin and his brother N.V. Vereshchagin, who invented the recipe of famous Vologda butter. There is a museum in their former estate. Near Cherepovets there is a museum of the poet Igor Severyanin, and in Nikolsky - the house of the poet Nikolai Rubtsov. 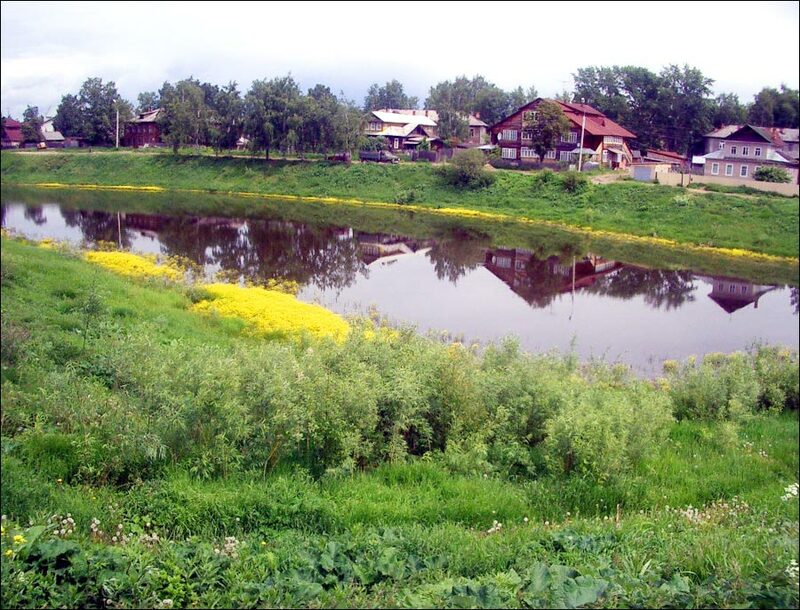 The natural attractions of the Vologda region include Darwin State Reserve, the national park “Russian North” in Kirillov district. Hunting and fishing tourism is also popular, there is a good base for the development of so-called rural tourism. Other places of interest include the town of Vytegra (Onega petroglyphs), the villages of Sizma and Nyuksenitsa (ancient spiritual rites), Ustye - the center of boat craftsmanship, Gryazovets - an old merchant town with estates and parks, Tarnoga - famous for the production of honey, Veliky Ustyug - the birthplace of Father Frost. 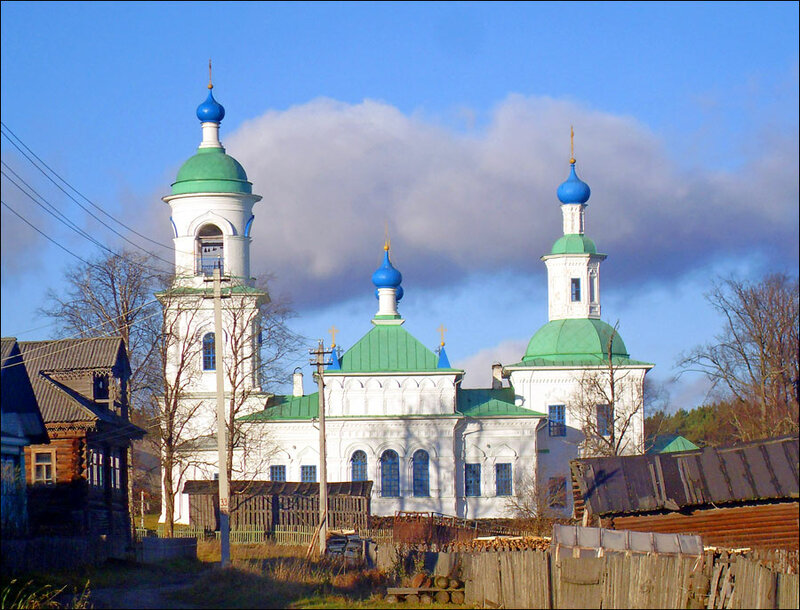 The Vologda region as a part of the Russian North managed to preserve a significant number of monuments of the ethnic heritage of the Russian people (songs, legends, epics, chronicles).